The Hoyo du Maire is part of Le Hoyo Series and is of Small Panetela/Entreactos format, 30 ring gauge and 3.9 inches (100mm) in length. This cigar is part of the Le Hoyo series, a special series made for a Swiss distributor in the years 1940's and, as the cigars from this series, is pretty different than other Hoyo de Monterrey. The Hoyo du Maire, is a medium to full flavored cigar, with tobacco and wood as main flavors. There are also lots of toasted aromas, and notes of leather, cream and a bit of tea notes. Despite being a pretty short smoke, not more than half an hour, but still manages to provide the typical Cuban "twang" with a lot of complexity, while never being over powerful. This is a very good choice for a first Cuban smoke. The Hoyo Du Maire is a very good option for a medium to full cigar and when the time is of the essence. 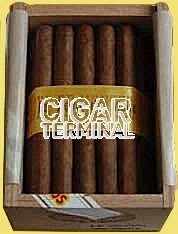 •	Despite being short, it is complex cigar, with amazing flavors of wood, tobacco and nuts. •	A cigar that worth aging. The cigar will become even creamier. This cigar simply provides what is expected from a Cuban smoke, complexity and strength. The cigar is looking good; the wrapper is slightly veiny and wrinkly, which gives it a rustic look. It has a nice light brown color, Claro, and the cigar doesn't have any soft spot, it is pretty well bunched from the foot to the head. Strong tobacco smell comes out from the wrapper. There are also spicy and grassy notes. Typical Hoyo series. Once cut, the draw is good, while slightly on the tight side, and gives some aromas of wood, coffee with some notes of sweetness and cinnamon. Upon the lightening of the cigar, there is only powerful tobacco, with few notes of pepper. The burn line is a bit wavy at beginning, but does not affect the quality of the smoke; it does not require further attention. The ash is solid so far. The first third of the cigar is dominated by a strong flavor of tobacco, alongside with some grassy notes, like flavors of tea. The smoking experience is pretty smooth despite the medium strength of flavors; it is also sweet thanks to sweet cinnamon, milk coffee, toasty aromas. In the middle third, the main tobacco aromas are still dominant, however the flavors of nuts, of milk chocolate are more noticeable. There are also notes of bitterness and saltiness. The whole flavors work well together while the body rises to a medium/medium to full profile. The draw is still very good and the ash is building up solidly at the foot. 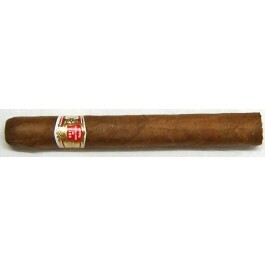 The final third has typical flavor profile of the Le Hoyo series, mostly wood, nuts, toasted tobacco and some spices. There is still some sweetness, some milk chocolate. It is still very smooth, feels like eating a chocolate candy. This cigar is enjoyable until the very end, a true finger burner. In summary, it is a very short smoke that packs all the great Cuban flavors.